We invite you to send your own testimonials (we appreciate your comments!). Michael Neeley: My wife Cindy and I had the most incredible experience ever tonight with Kathy and Rebecca! If you have never had couple's massage with Huntsville Massage Professionals, you cannot understand what you are missing!!!! Best massage either of us have ever had, treated like royalty, pampered in every way. I recommend Huntsville Massage Professionals to anyone and EVERYONE!!!! Thank you Kathy and Rebecca!!!!!! Cindy NeeleyMike and I had the most wonderful evening. Thank you Kathy and Rebecca from Huntsville Massage Professionals for an incredible massage. Your giftings extended far beyond a typical massage. My stress was washed away!! Thank you both so much. Kathy Curry:Happy Anniversary to Doc & Cindy Neeley. Thank you for celebrating at Huntsville Massage Professionals with a 90 minute Hot Stone Couples Massage, Strawberries & Champagne! Michael Neeley Thank YOU Kathy and Rebecca!! Cindy and I have both had lots of massage, but we agree that the massage and overall treatment we recieved from you both tonight was better than ANYTHING we have ever experienced!!!!!!! The entire experience was unbelievably WONDERFUL!!!!!! Thank YOU!!! Cindy Neeley Yes! I highly recommend going to HSV Massage Professionals for a massage! P.S. You might need a designated driver! Kelly Kolumbus Albert: Thank you Linda Joiner Kolumbus, Mom and Dad for our awesome spa gift certificates. We VERY much enjoyed our couples massage today. It was the BEST one we've ever had hands down.. the whole atmosphere was awesome. Thank you Kathy and Mark from Kathy Curry Huntsvillemassageprofessionals If anyone is looking for a great place to get a massage- contact Kathy- also make a great gift. Martha Williams: Thank you again for sharing your time and talents during the North Alabama Mensa Regional Gathering. We were all impressed with your expertise, your high intelligence, and your wonderful personality. I am so glad to know you! Hope to see you again soon! Maggie Jordan McColpin visited Kathy Curry Huntsvillemassageprofessionals today at her BEAUTIFUL spa! it was soooo serene, that i could have just curled up in the lobby, and taken a nap!! TOTAL relaxation!! it's no wonder why she received the WHNT Best of the Tennessee Valley! Kathy is one of the most outgoing people I have ever met. She is friendly and never meets a stranger. I admire her for her dedication, determination and her professionalism. She should be given an award for top business professional of the year. "I bought my husband a couples massage basket for Christmas this year. We scheduled it the week after Christmas. We needed it by then with all the hustle and bustle of lights, shopping, presents, and dinner with family. It was the most relaxing day for us. I wished the hour had been longer. The quietness of the room with the soft relaxing music, the aromatic smells, soft lighting and the feeling of being at home were fantastic. Afterwards my husband kissed me and told me "Thank You." I also bought 2 other gift baskets for my nieces for Christmas. One has already had her massage and enjoyed the 30 minutes she had. She came out of the room just glowing. She said it was the best Christmas present she had received. Just two weeks before Christmas I had won a hot stone massage from Kathy. I had some problems with my neck and shoulders and was given exercises by my doctor to do. After the hot stone, the tension was gone. Wow! what a feeling. I will have that one again sometime. Kathy Curry is just awesome. She is a funny, outgoing person who perfectly knows how to help you relax. And her massages are just wonderful. If you haven't met Kathy yet t you are missing out on something. I highly recommend to everyone that wants to relax or get rid of some muscle tensions to see Kathy asap. Kathy Curry Huntsvillemassageprofessionals Thank you Shea and Elyssa! Hope to see you gals again soon. As an accountant for a major firm in Huntsville, I sit at a computer all day at work. My neck and shoulders were killing me. After my first visit to Huntsville Massage Professionals, my pain level went from a ten down to a one. I have been getting massage therapy every two weeks, and now my pain is gone. I can do my job much more effectively now that i am not in constant pain. I highly recommend the therapists at Huntsville Massage Professionals for pain management as well as relaxation and stress relief. Donna M.
" Best massage that I have ever had. Thanks Kathy you are the best. I need another one bad. Thanks so much Kathy for my massage. I thoroughly enjoyed it and it provided so much benefit to my health! It really adds to the holistic approach to well-being that I offer with Arbonne!! Arbonne is purely botanical skin care and nutrition, so it is safe but yet delivers incredible results! See ya soon!! "I had the pregnancy massage done at Huntsville Massage Professionals. I have never been so relaxed and at ease. I feel wonderful. Thank you very much!" Chandy HovisKathy..you are amazing! I was'nt even expecting all of the wonderful little things that come AFTER the massage you gave my neck..I've been able to get out of the bed easier! Thank you so much for helping me..that's what you did..you helped me! Can't wait to come back! ashley horton thanks kathy currie for a wonderful massage yesterday. ready to get the day started. work, salsa work shops, and SALSA all night! yes!!! Hi Ms. Curry: A special thank you from myself and best girlfriend "Lannie Shearls". We had an 8:30 pm appointment on Valentine's weekend that was wonderful. That was our first time coming and will not be our last. Thanks again for an hour of pampering that I will not forget. By the way, I just voted for you and good luck! Just wanted to let you know that Jordan and I were very impressed with the service we received. Everything was perfect, the masseuses were very professional, and it made our weekend complete. We will most certainly be coming back for more sessions. I have suffered from Fibromyalgia for over 15 years. I have been to every doctor out there who claims to specialize in Fibro Treatment...and I have been to several different massage therapists during these years. The therapists at Huntsville Massage Professionals specialize in massage for Fibromyalgia, and I have gotten more relief since I began getting regular massage there, than any other treatment I've tried. I highly recommend Huntsville Massage Professionals as Best in the Valley, and best anywhere. If you deal with chronic pain, these folks can help you, I promise! Jayden Johnson, Huntsville, Alabama. "I have used Kathy's services as a licensed massage therapist. Kathy is excellent at what she does and knows her job well. She is very down to earth and works well with people in all walks of life. Kathy is very professional and well educated in her field. I would say she is the best that Huntsville has to offer. Her place of business is very clean, with a very inviting and relaxing atmosphere. She makes you feel very comfortable which is what I think you would want with a massage therapist. I have recommended her several times to my friends and family. I enjoy her services and hope to continue to enjoy her services for years to come." Jill Sasser Case: If you get a massage, go to huntsville massage professionals. 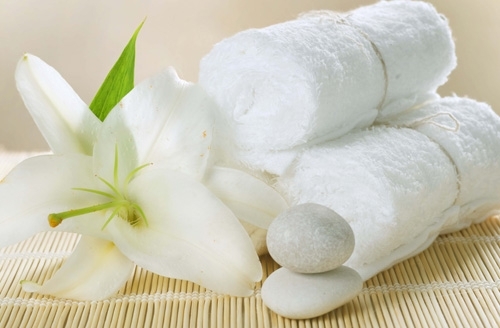 they were voted best day spa in huntsville and they are SO reasonable with the prices. ask for Kathy. she is the BEST!! Doug Bishop and Kelly Grounds celebrated their anniversary at Huntsville Massage Professionals. After receiving side by side massages, the couple enjoyed a candlelight dinner followed by strawberries and champagne. 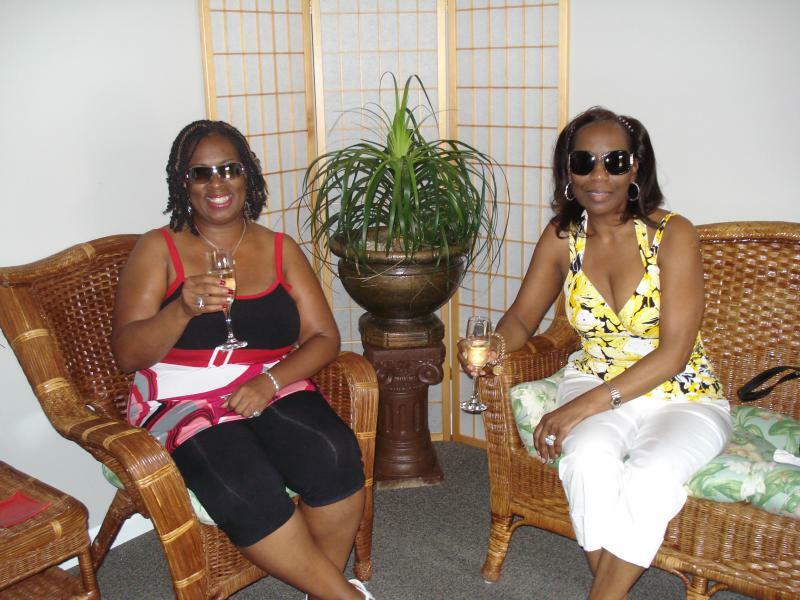 Regina Hudson and Norma Moore Wilson enjoyed "Girl's Day Out" at Huntsville Massage Professionals with Strawberries & Champagne Massage Sessions. "Kathy, You are an absolutely precious person and my life is better for having met you!! If there is ever anything I can do to help you, no matter what just call me !! Luv ya, Nanette"
April Crossman was his therapist.